Sean Szymkowski August 3, 2018 Comment Now! 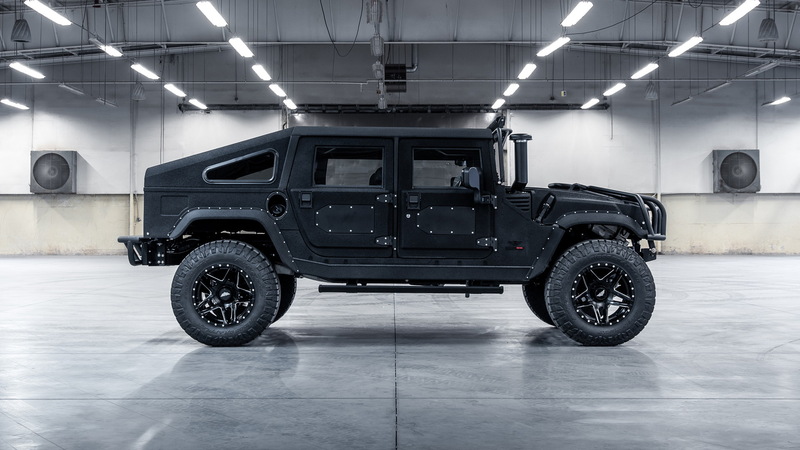 Mil-Spec Automotive (MSA) has quickly made a name for itself by building luxurious SUVs based on a reimagined Hummer H1. On Wednesday, MSA revealed its second custom creation based on the H1: the #002 Launch Edition. Fittingly, the #002 follows the #001 Launch Edition, but the follow-up SUV features a slant-back roof design that's more to our liking than the open-top #001. It is finished in a matte black Kevlar texture. The #002 Launch Edition also boasts equipment MSA never planned to offer. 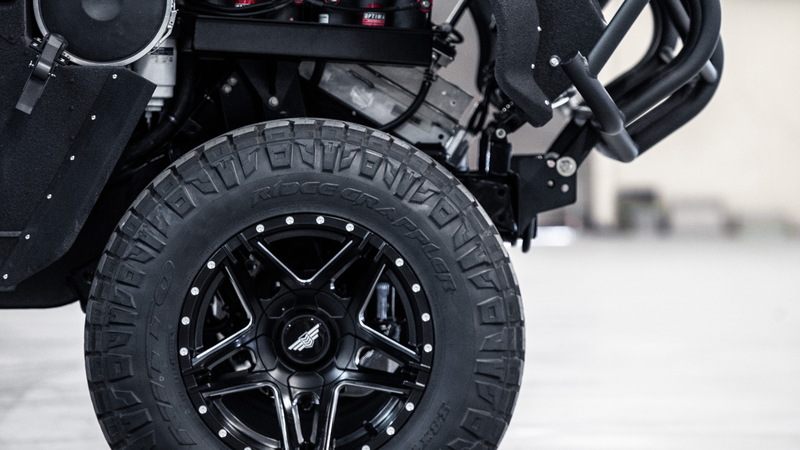 Since this is a bespoke vehicle, the customer specified that #002 would have a unique air-ride suspension and air-ride seats. The former allows for 7.0 inches of adjustable ride height, while the latter keeps occupants comfortable. Those seats also have massage and heating/cooling functions. Following the build, MSA announced it will also offer the air-ride suspension and seats as part of a fully built #002 package. 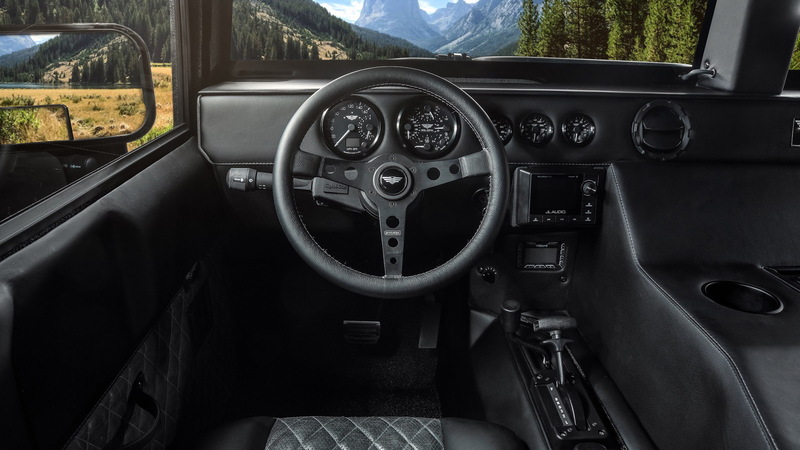 The #002 Launch Edition also features a special Executive Interior Package 1a, which gave the customer the freedom to specify his interior's black powder-coated hardware and leather surfaces. 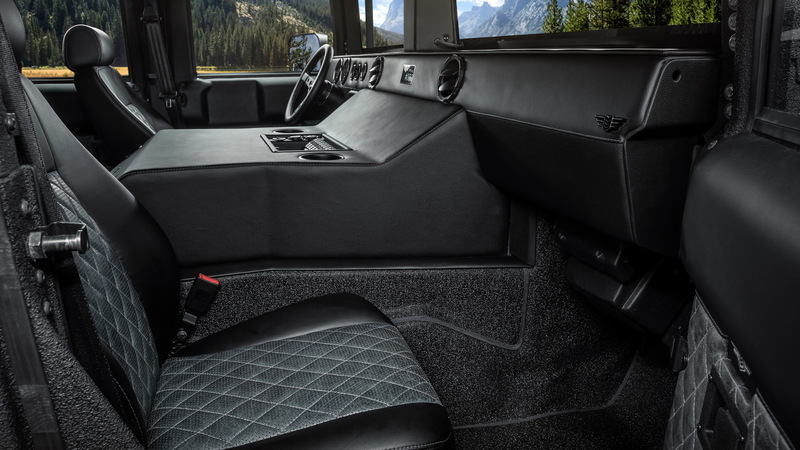 Specifically, distressed hides are used for the door panels and perforated seat inserts, and more leather is washed over the grab handles, dashboard, and seats. Like the first MSA Hummer creation, the #002 gets an upgraded 6.6-liter Duramax turbodiesel V-8. The engine now makes 500 horsepower and a whopping 1,000 pound-feet of torque, which likely makes the restomodded SUV a real hoot to drive over any terrain. Although the SUV seen here is a customer build, MSA plans to offer the exact vehicle to the public—for a pretty penny. While a standard soft-top SUV starts at $218,499, this exact build with the extra suspension goodies and finer interior touches costs $290,837.